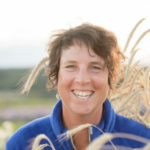 Organic Seed Alliance’s collaborations with farmers, researchers, and the seed and food industry are fostering a regional seed system that is responsive to the needs of organic agriculture. Organic Seed Alliance’s Pacific Northwest partnerships and projects are well-established. In 2015, we broke ground on our first research field at the Finnriver Farm in Chimacum, providing a central location for most of our organic variety trial, plant breeding, and seed production projects in the region. The farm also serves as a venue for workshops, tastings, and field days. We’ve hosted eight biennial Organic Seed Growers Conferences in the region as well. Our Pacific Northwest research focuses on vegetable crops, some grains, and beneficial flowers for pollinators.